Amid the hundreds of prints of comic book icons such as Batman and Iron Man, the red and yellow of the Kansas City Chiefs stood out in Bartle Hall last weekend. 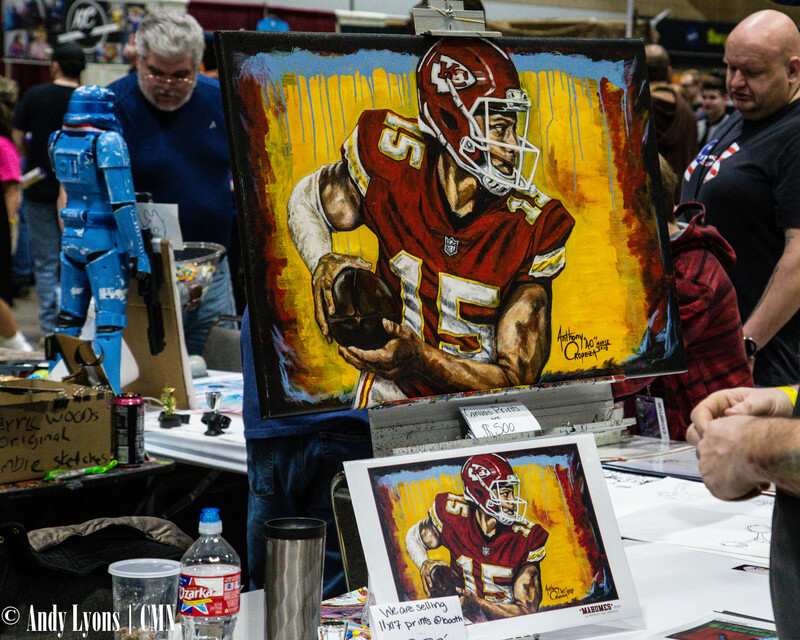 Rising football star Patrick Mahomes is easily one of the most recognizable players in KC, and displayed as an art print at Planet Comicon was no exception. Artist Anthony “AO” Oropeza had prints on display while he continued on new pieces throughout the weekend, but he took the time to explain the creation of the now iconic image. Oropeza said he’s still working to get the piece licensed so he can sell prints without risking a cease and desist order from the NFL. However, he does limited runs or gifts them to friends and family for presents and donates the proceeds to local charities. 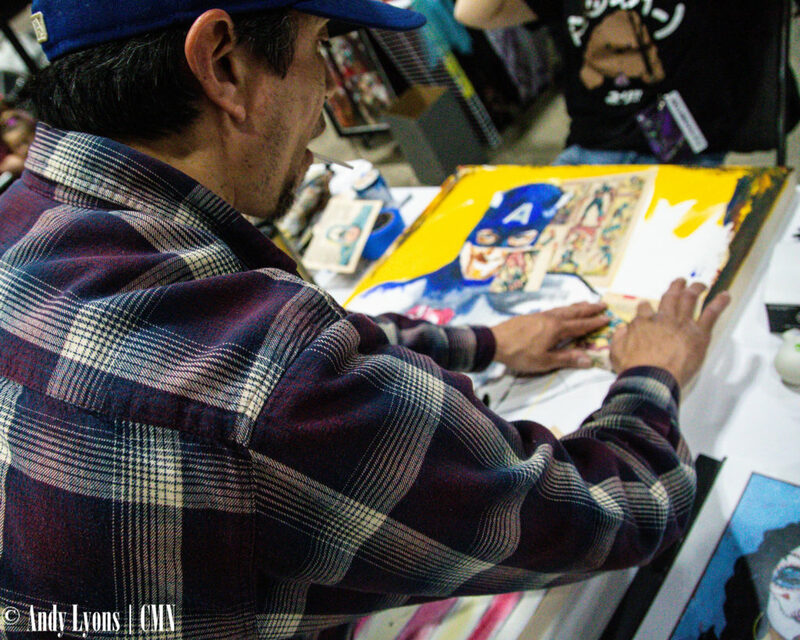 Artist Anthony “AO” Oropeza works on a new Captain America piece. While working on a new Captain America piece at PCC, it was evident he was painting on wood rather than traditional canvas. Oropeza said he spoke to one of his art idols who prefers wood for the textures and the ability to glue other materials into the piece such as comic book pages. Oropeza said he was born and raised in the Kansas City area, and now most of his work is done out of his basement studio. Two or three times a year he’ll participate in First Fridays or host his own show. He’s already planning one for September that will feature both sports and comic book art including some from his own comic book, “Amigoman,” which he said he made with grade schoolers in mind. For more follow AO on Facebook here. Follow him on Twitter here. Visit his Instagram page here.